The primary US objective during the 2003 invasion of Iraq was not bringing democracy to the Middle Eastern country, but to oust Saddam Hussein, touted as “a threat to the region,” says a secretary of state under President George W. Bush. “We didn't go to Iraq to bring democracy to Iraq,” Condoleezza Rice told a meeting at the Brookings Institution on Thursday, stressing that the aim was simply to eliminate a security challenge. Bringing democracy to Afghanistan by removing the radical Taliban wasn’t a US goal either. 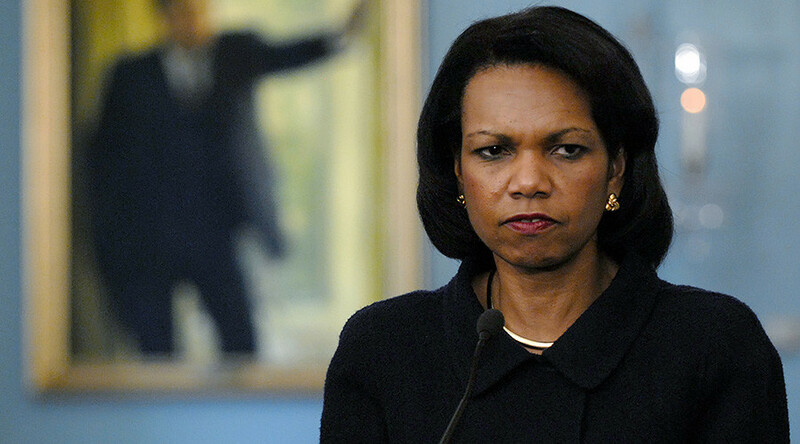 “We overthrew them [Taliban] because they were harboring Al-Qaeda in a safe haven after 9/11,” Rice said. Rice, who served as national security adviser to President George W. Bush from 2001 to 2005, denied that the United States was ready to use its military power to impose democracy on Iraq in 2003 or on Afghanistan in 2001. “I would never have said to President Bush: ‘Use military force to bring democracy to Iraq and Afghanistan,’” she added. In 2003, Bush authorized a US-led invasion of Iraq, claiming that Hussein possessed weapons of mass destruction (WMD) and was working with terrorists who had attacked the US in September 2001. Neither of those claims turned out to be true. In his recently-published book, ‘Debriefing the President: The Interrogation of Saddam Hussein’, former CIA officer John Nixon, who interrogated Hussein in 2003, argued that Islamic State (formerly ISIS/ISIL) could not have arisen under his rule. “It is improbable that a group like ISIS would have been able to enjoy the kind of success under his [Hussein’s] repressive regime that they have had under the Shia-led Baghdad government,” Nixon said. 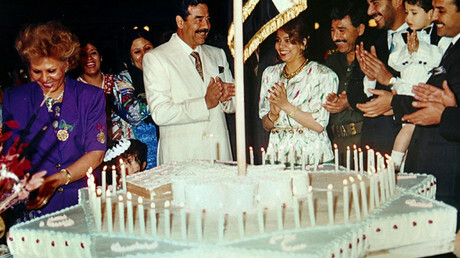 He noted that “Saddam felt that Islamist extremist groups in Iraq posed the biggest threat to his rule” and did his best to eradicate any such threats. “In hindsight, the thought of having an ageing and disengaged Saddam in power seems almost comforting in comparison with the wasted effort of our brave men and women in uniform and the rise of Islamic State, not to mention the £2.5 trillion [US$3.2 trillion] spent to build a new Iraq,”Nixon wrote. The recently-published Chilcot report, by eminent Britons on their country’s involvement in the 2003 Iraq War, supported Nixon’s assumption on IS. The documents show that by 2006 – three years into the occupation – UK intelligence chiefs were increasingly concerned about the rise of Sunni jihadist resistance. Those radicals and parts of the disbanded Iraqi military later joined radical jihadist groups, including IS, the report said. By 2013, Al-Qaeda in Iraq – established only after the US invasion and the insurgency against the occupiers – had been transformed into Islamic State of Iraq and the Levant (ISIS) and exploited the discontent of Iraq’s Sunni Muslims under the Shia-dominated Al-Maliki government to seize much of the north and east of the country. In June 2014, IS was able to take the city of Mosul after some 30,000 Iraqi troops trained and equipped by the US simply fled the battlefield, leaving much of their weapons and gear behind. Iraqi operation aided by the US-led coalition is now engaged in an operation to liberate the city. 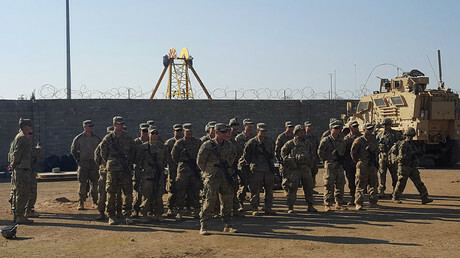 Some 5,000 US troops have returned to Iraq since, to “advise and assist” the reconstituted Iraqi military in its struggle against IS.